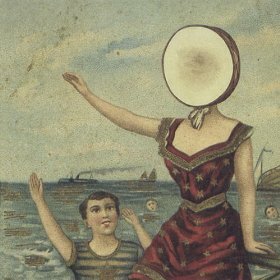 In a move sure to make indie music fans around the world rejoice, news broke Monday that the popular cult group Neutral Milk Hotel is reuniting to play its first live shows since 1999 this fall. In addition to a pair of performances to be played at the Hostess Club Festival in Taipei, Taiwan and Tokyo, Japan, the band hopes to announce more concerts soon. But just what its members mean to convey with the following message that was posted online beneath the mention of new tour dates is anyone’s guess. Best known for its critically-acclaimed 1998 album In the Aeroplane Over the Sea, Neutral Milk Hotel has been on hiatus since 1999 when frontman and songwriter Jeff Magnum tired of touring and dealing with the music press. The 2013 touring lineup of the band will feature Magnum as well as Scott Spillane, Julian Koster and Jeremy Barnes, who all contributed to the recording of In the Aeroplane Over the Sea as well as works by other members of the Elephant 6 musical collective, to which Neutral Milk Hotel belonged. Over 48 hours have passed since Monday’s tragic bombing in Boston, and musical tributes to both the city and victims of the incident are starting to pile up. During Tuesday night’s game in Yankee Stadium, even the Bronx Bombers, whose rivalrous history with the Red Sox needs no explanation, paid their respects by playing the longtime Sox anthem “Sweet Caroline” at the end of the third inning. And several states away in Wisconsin, the Milwaukee Brewers joined the cause by using the “Cheers” theme song “Where Everybody Knows Your Name” as the soundtrack to a video tribute dedicated to Boston. There will no doubt be more tributes to come for Beantown and its residents, and if even one song manages to lift the spirits of those affected by such a horrible event for even a minute, then this writer feels the effort will be worth it. Who can forget how John Lennon’s “Imagine” seemed to give voice to the grief so many were feeling when 9/11 happened? I don’t know what tune will stir memories in years to come and make individuals think back to the somber Patriot’s Day that was April 15, 2013. But I do know one track that has been on my mind for the last few days. “For Boston,” the old Boston College fight song feels apt at a time like this. If Boston is one thing, it is full of fighters. They come loud. They come angry. But one adjective that always fits is proud. The people of the city are proud, and they will get back up again and again. Pearl Jam’s Eddie Vedder once sang, “I’ll keep takin’ punches until their will grows tired.” And though just who he was singing about remains unclear, this simple truth remains – the evil souls in the world can keep swinging, but the good among us will triumph in the end. You can’t kill the spirits of those who love. And if this latest tragedy proves anything, it’s that those in Boston are getting their fair share of love right now. Stay strong 617. The world is with you.